I'm especially excited to introduce you to a wonderful new book series created specifically for Latino children. 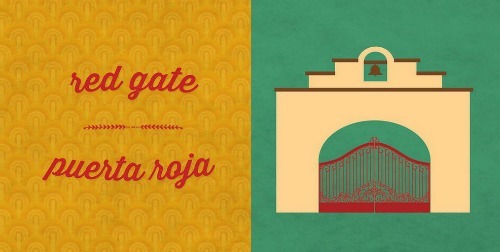 Lil' Libros is a new independent publishing company focused on bilingual, first-concept books for children 4 and under. Their first round of board books for lil' fingers are vibrant, fun, and infused with culture. Counting With Frida, Contando con Frida introduces children to the numbers 1 to 10 through the Mexican artist's world. For example, there is una casa azul/one blue house; dos pinceles/two paint brushes; tres flores/three flowers, and so on. In Zapata, your children will learn about silver coins, blue uniforms, green pastures, etc. Lotería First Words, Primeras palabras uses the traditional card game to build their vocabulary of first words such as el gallo, la luna, and la flor. All of these books come with simple images to engage babies and toddlers, and each one also features text in both English and Spanish. The illustrations are warm and colorful, and make sitting down with your child to read a pleasure. 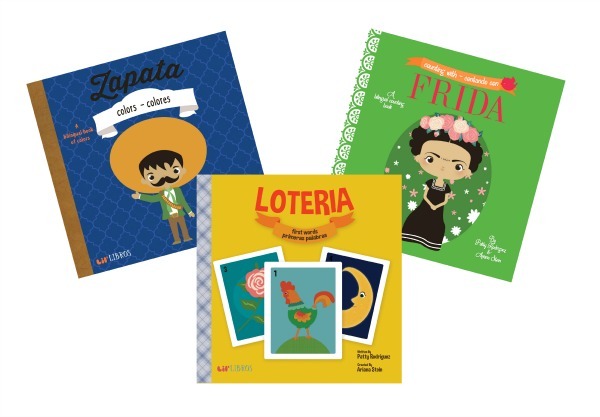 I love the concept of these first books and consider them a must-have for any Latino family library. These 6x6 eco-friendly board books are currently scheduled to be shipped on December 16th, but you can pre-order your copies for $10 each via the Lil' Libros website. You can follow Lil' Libros on Facebook and Instagram, too. 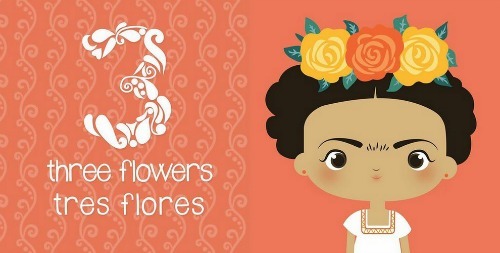 Lil' Libros has generously offered one set of these three books to one MommyMaestra reader! Wouldn't they make a wonderful Christmas or Reyes gift? This is so cute! beautiful books for my girls!